By Thoriq Firdaus in Coding. Updated on October 27, 2017 . 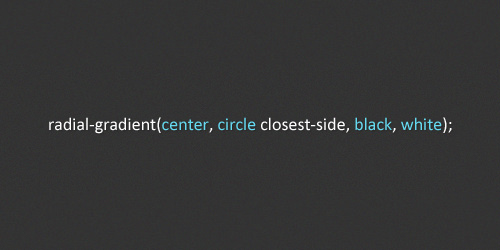 Today we are going to continue our discussion on CSS3 Gradients. 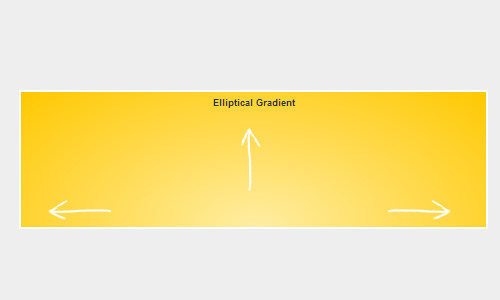 In the previous post we’ve showed you how to create Linear Gradients. This time we will cover their relative, Circular and Elliptical Gradients. The gradient in CSS3 is declared using the background-image property. This is for better compatibility when we also need to add background-color in a single rule set, so that they do not collide with one another. 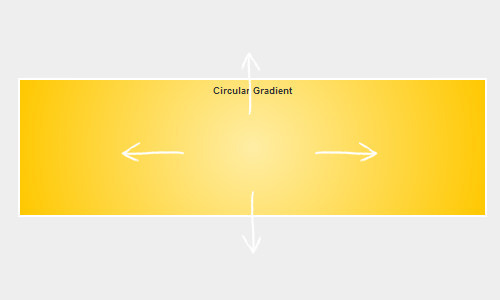 Then, to create the radial gradient we simply call it with this radial-gradient() function. There are four values to be included in the function to set the gradient properly. The first value defines the gradient position. We can use a descriptive keyword such as top, bottom, center and left, or we can also be more specific like, 50% 50% to set the gradient at the center or 0% 0% to set the gradient to start at top left. The second value defines the shape and the gradient size, there are two arguments to shape the gradients, first the ellipse which is the default, and the second is circle. And for the gradient size, we can select one of the following six arguments. The gradient’s shape meets the side of the box closest to its center (for circles) or meets both the vertical and horizontal sides closest to the center (for ellipses). The gradient’s shape is sized so it exactly meets the closest corner of the box from its center. Similar to closest-side, except the shape is sized to meet the side of the box farthest from its center (or vertical and horizontal sides). The gradient’s shape is sized so it exactly meets the farthest corner of the box from its center. Table Source: Mozilla Developer Network. As the name implies, the gradient shape will be a circle. Check out the demo or download the source to play around with gradients.